All Shavano Park homes currently listed for sale in Shavano Park as of 04/22/2019 are shown below. You can change the search criteria at any time by pressing the 'Change Search' button below. If you have any questions or you would like more information about any Shavano Park homes for sale or other Shavano Park real estate, please contact us and one of our knowledgeable Shavano Park REALTORS® would be pleased to assist you. "Exceptional! Built by Image Homes & architecturally stunning! This estate is located in a guarded neighborhood, Huntington at Shavano Park. 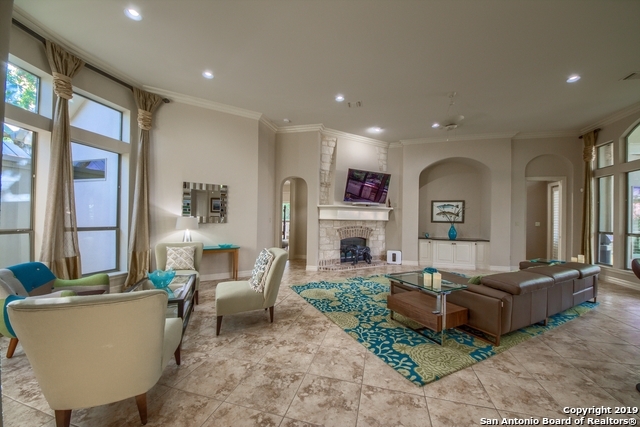 Top of class w/an ideal floor plan for entertaining. The owners wing w/ office, exercise, & dressing rm. All bedrms have their own privacy & baths. 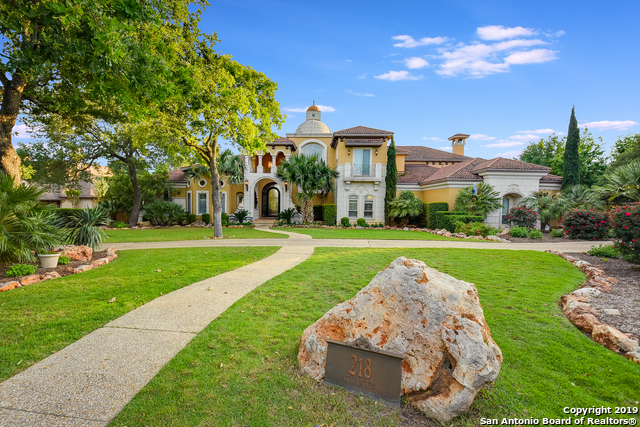 Spectacular home theater, wine cellar, exquisite backyard w/ vast covered terraces w/outdoor kitchen, fireplace, resort style pool/spa, greenhouse. Private & secured courtyard w/ 5 car motor court, 4car garage, g"
"Unbridled sophistication in one of the citys most coveted neighborhoods.Contemporary design elements showcase the modern single story floor plan w/accordion doors that seamlessly integrates indoor&outdoor living.Exceptional grandeur w/only the finest hand selected appts throughout to inc.Crema Marfil marble&thick plank handscraped wood floors,soaring ceilings,walls of floor to ceiling windows.Resort style outdoor paradise w/award winning landscaping&exquisite Keith Zars pool make this an enterta"
"Welcome to the Palazzo Di Bentley! Take a step into this Tuscan sanctuary and be whisked off to the Old World. Enjoy the stylish Italian warmth with hints of royalty. The attention to detail was paramount during design, as each room is fully and expertly furnished. Relish in the tranquility of Palazzo Di Bentley's gardens that provide multiple seating areas and a pool flanked by statues and lush foliage.This property is truly captivating, unmatched by its beauty. 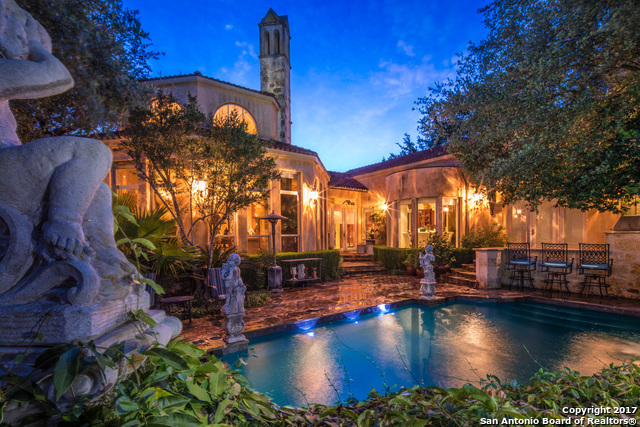 This isn't simply a home-it's a "
"Majestic and stunning Robert Weiss custom one story estate on 1.2 private park-like acres. Grand foyer, dual living/dining areas, Chef's kitchen with the finest appliances, great rm w/fireplace & game rm. 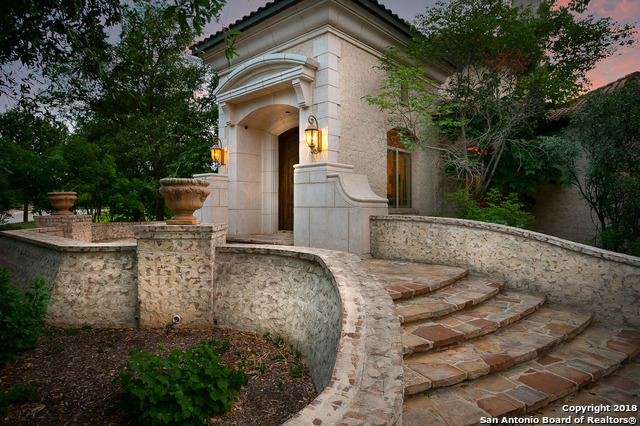 Smooth finished walls, grand ceiling treatments, marble flooring & interior stone accents. Master wing: fireplace, library/sitting rm, office/study, & pvt patio. 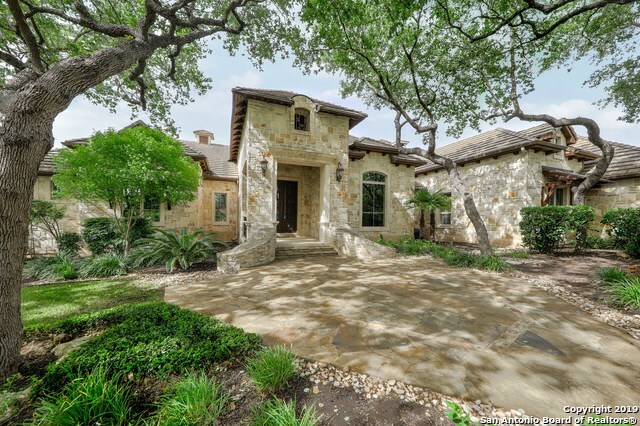 Resort style grounds: pool, spa, expansive patios, kitchen, basketball court, 4 car garage currently half is used as storage & maid "
"Stunning estate situated on greenbelt in Bentley Manor. 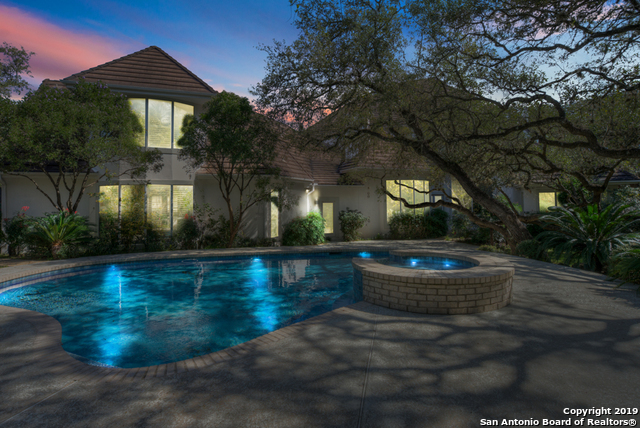 This home is perfect for entertaining w/1137sf of covered outdoor living, heated pool/spa, waterfall, fountain, outdoor kitchen, extensive decking, gazebo & bball court. Gourmet kitchen w/Wolf gas cook top, warming drawer, lg. island w/veg. sink, huge breakfast bar, SS appl. & sep. caterer's kitchen. Dual masters w/large sitting area, 2 MIL suites w/private living area & bath. All bedrooms have en-suite baths & w/in closets. Custom details "
"Exquisite 1 Acre Contemporary Spanish Estate in prestigious Huntington at Shavano Park. Boasting over 5,000 SF of meticulous construction & design details. Open floor plan w/ wall of glass doors opening to expansive patio & outdoor oasis featuring a Keith Zars Pool/Spa & Large Sport Court. Elegant master suite w/ stunning master bath, soaker tub, double shower, his/her separate private toilets & custom built closets. Chef's Island kitchen w/ Thermador SS appliances. Built 2018 by Burdick Cu"
"Hughes Custom One story build in premier Bentley Manor. Tasteful detailed home from the fixtures to the floor plan. Dramatic Vaulted entry displays the unique ceiling treatments ~Open Layout focuses on large family room & gourmet island kitchen w/prof grade appliances. Master Retreat with FP opens to outside. Spa like Bath w/coffee bar, exercise room, multi head shower and jetted tub. Outdoor oasis with kitchen and cozy fireplace to enjoy against the private green belt." "California Mediterranean original owner one story custom build with special accents and builder concepts throughout home. Open Floor flow with chef kitchen overlooking bay window extension to covered patio and pool area. Enjoy your outdoor ambiance and your Zen area along with Japanese Blueberry trees in the manicured yards. Master bed includes flex space for a work out or nursery. Potential 4th bedroom convert in Study or Flex media space. Custom built and much more ~ call for private tour"
"This Old World beauty is a triumph of style and substance in coveted Bentley Manor. Timeless architecture promises plenty of wow factor from the enormously tall wrought iron door to the sky high ceilings and windows. Master wing includes it's own study, outside access, exercise flex space in master bath. Wet bar, wine library, spacious gourmet kitchen that opens to the great room and expansive covered patio. En suite 5th bedroom being used as media room. Balcony overlooks the resort style groun"
"One of a kind fantastic house. Humidified wine room, his and her offices, recirculating hot water system, many closets. High ceilings and immaculately decorated. Large his and her master closets. Walk behind wet bar. Tropical back yard with pool, hot tub, gazebo - like being in the tropics. Square footage per insurance appraiser. 5 A/C units - 13 seer. Chandelier does not convey. Phone-intercom. Fire hydrant at corner of house, no through traffic. Police Dept nearby,instant hot water. ste"
"In a premier location this one story Burdick home is a triumph of style and substance. Custom-designed by HGTV Design Star Trent Hultgren to offer all the comfort and luxury of a five-star hotel. 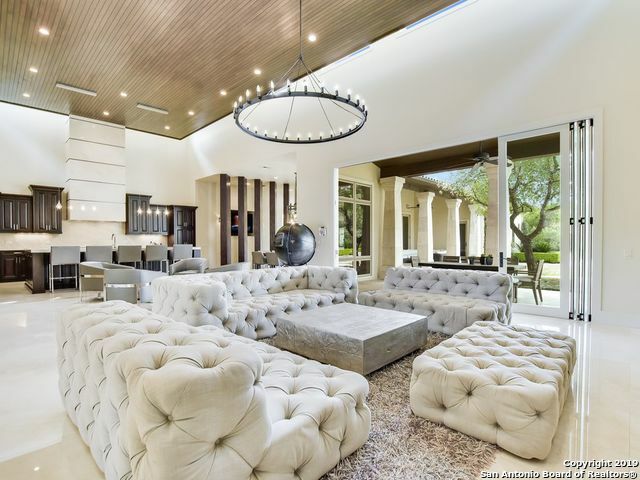 An amazing sense of space, enhanced by an open floor plan for daily living and sophisticated entertaining. The homes four bedrooms and five bathrooms are well-appointed and create spatial living. Outdoors you will find a private lagoon style pool, expansive lawn, and beautiful greenery." "Nestled in one of the most desired neighborhoods in Shavano Park, this almost 7000 sqft Home has it all. Located in Shavano Creek this Home also has a pool w/ jacuzzi, sport court, mother-in-law AND maids quarters! This is a rare find. Seller is motivated and welcomes offers based upon updating the house for the buyers lifestyle. 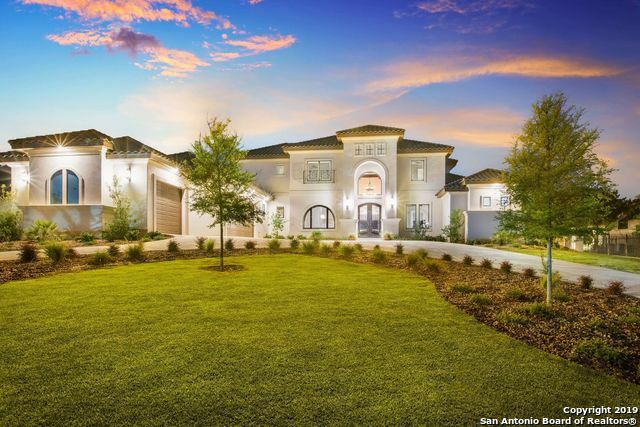 This beautiful home features 6 bedrooms, 7.5 bathrooms. 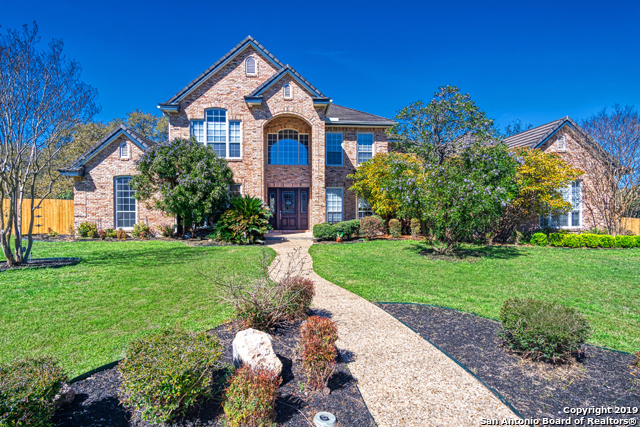 Luxury living in Shavano Creek Estates." 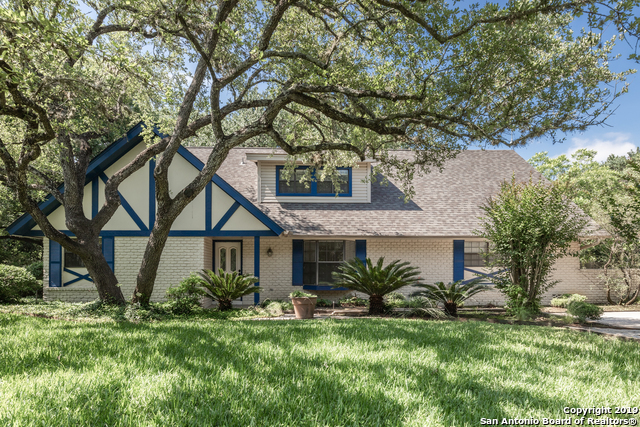 "Tons of Oak Trees - 1+ acre! This unique & One of a Kind Custom-built 5 bed, 5.5 bath home spared no expense with updates & amenities! This open floor-plan boasts hardwoods and custom built-ins through much of 1st floor. Updated kitchen with custom cabinets,granite ctops, SS appliances & custom wood island. 1st floor includes updated master suite master bath & a mother-in-law suite, extra-large utility, 3 car garage. 2nd floor beds each w own bath. Game-room, Pool, Spa, Sport court. 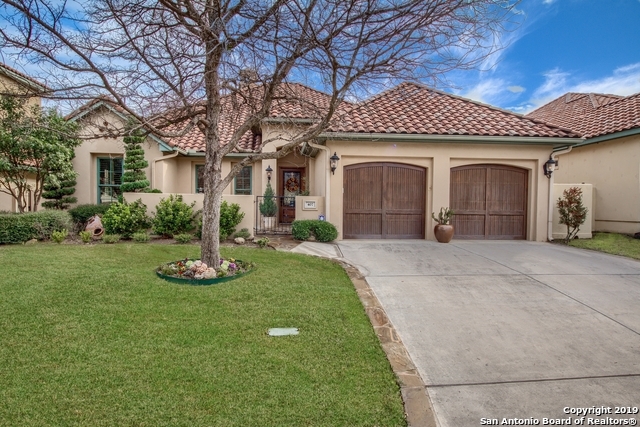 This is a M"
"Beautiful 6581 sqft custom home in Shavano Creek on 1.1 ac abuts to 3 ac greenbelt. 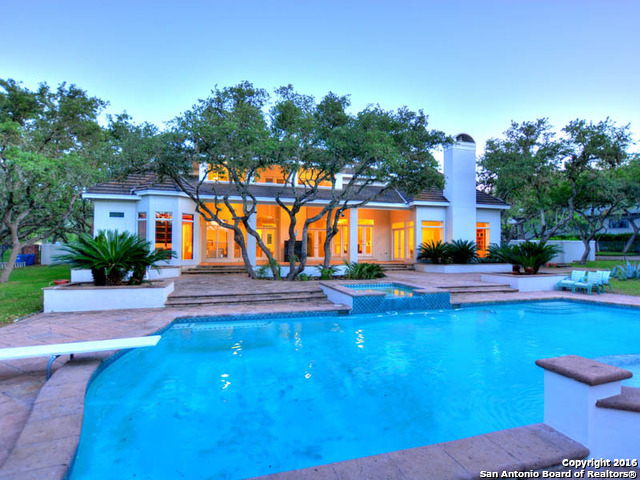 Keith Zars pool & spa w expansive patios for entertaining w professional landscaping. Soaring ceilings/pella windows. All living areas flow to outside. Spacious formal living & dining, hardwood & marble floors. Master bedroom down w NY style Mahogany study. 3 BR down, 2 large Whirlpool bath & separate shower. 4 BR upstairs + 3rd family room. Upstairs opens to 34x10 tiled balcony. Oversized 3-car garage w storage." "This home is a timeless beauty nestled in the city of Shavano Park on 1 Acre of land, yet minutes away from major highways! The large windows throughout showcase the impeccable landscaping of beautiful Live Oaks and a stunning pool/jacuzzi in the private backyard. Every bedroom has built-ins w/extraordinary views. 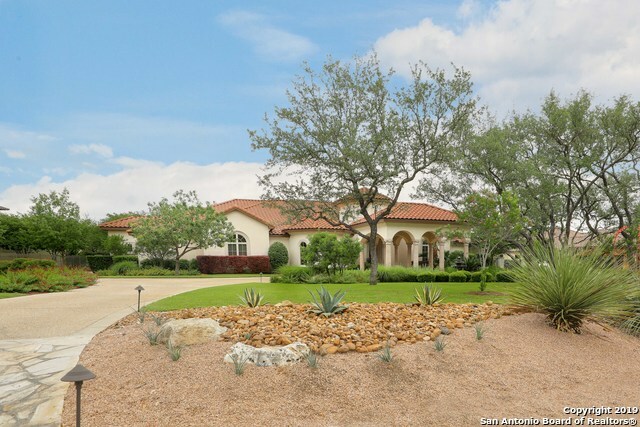 Gorgeous Master Retreat has sitting area w/windows overlooking the pool and secluded back yard. Three bedrooms upstairs, along w/a separate wing that has a studio room/adjoining room &"
"Once in a lifetime opportunity! Brand new Prestige Home in Bentley Manor, on one the best greenbelt lots in the Villas. 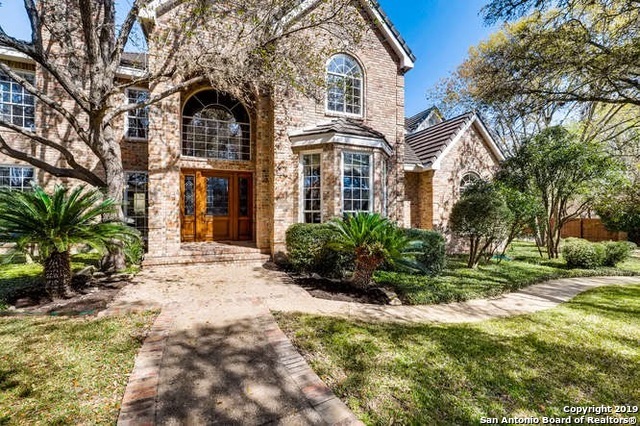 3 bedroom, 3 full bath, study, huge great room with soaring 14' ceilings, gourmet kitchen, custom cabinets, solar energy, 7X8 foot steam shower, central vacuum, plantation shutters, safe, alarm, no steps, no grass, oversize garage, irrigated exotic landscaping, koi pond, lots of big closets. Buyer never moved in, due to sudden change of plans. Don't miss your chance! Thanks for"
"Beautifully updated, MINI-ESTATE SIZED @ 3496 sq.ft. Steve Davis former model, garden home Gorgeous wood flooring throughout downstairs & up the iron entry staircase, tall ceilings, warm contemporary fixtures, large living & kitchen space w/stainless appliances, farm sink, island & custom built wine/cheese serving bar made of butcher block perfect for entertaining. Huge master suite w/outdoor access to patio. Guest suite up. Plantation shutters. Lush low maintenance lot! Like new. GREAT VALUE @"
"Enter this 3 bed 3 bath plus a study green belt villa through the gated flagstone courtyard with a running fountain. Continue inside to the lovely barrel ceiling foyer and take in the stunning living space. Varied ceiling heights and styles, functional built-ins, crown molding, exquisite lighting, and custom window treatments throughout. Jenn Air and Sub Zero kitchen, finished out air conditioned attic, dimmers, cedar closet, amenities galore. Beautiful backyard oasis. Furniture negotiable! 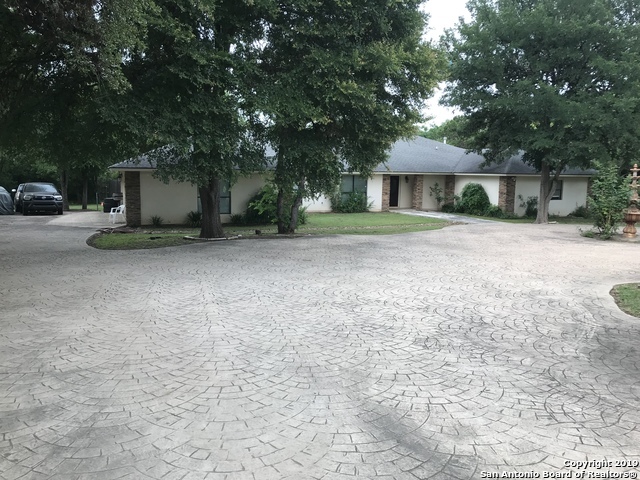 One "
"Gorgeous one-owner home in gated Shavano Park neighborhood of Willow Wood on a large, greenbelt lot. 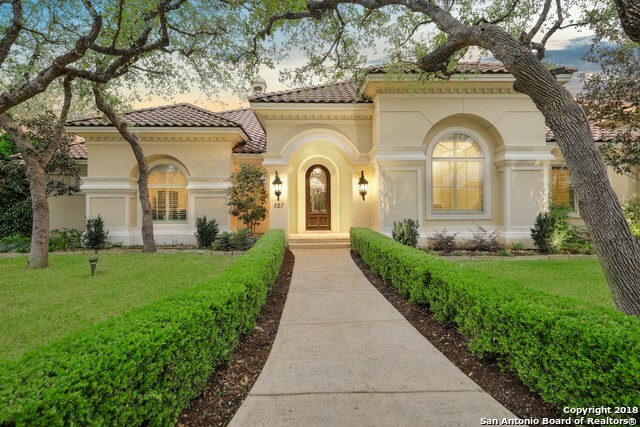 Tiled entry leads to elegant formal DR w/ hand scraped wood floors. The entertainer's kitchen boasts a large island, gas cook top, granite, stainless, tons of cabinet space & double ovens. Split mstr w/ double vanities, granite counters & multi-spray shower system. Huge master closet. Spacious secondary BR's with jack & jill bath. 4th BR makes a perfect home office. Outdoor patio features FP & k"
"1 STORY HOME THAT SHOWS LIKE NEW & ON TREND.....3 BED (SPLIT BD PLAN), 3 BATH, STUDY (W/CLOSET) & 2 CAR GARAGE. KITCHEN W/GRANITE COUNTERTOPS, SS BOSCH APPLIANCES, GAS COOKTOP, 2 OVENS, WALK IN PANTRY. ALL TILE EXCEPT CARPET IN BEDROOMS, MBATH W/HIS & HER CLOSETS/VANITIES, GARDEN TUB, SEP/SHOWER. 2 COVERED PATIOS W/WOOD CEILING, MATURE TREES, STUCCO & WOOD FENCED, SPRINKLER SYSTEM. OTHER AMENITIES:WATER SOFTENER, 2 WATER HEATERS, RADIANT BARRIER, LOW E WINDOWS,16+ SEER AC, MASONRY MANTEL ON GAS "
"Private Shavano Park Retreat! Large lot on cul-de-sac with amazing pool, decking, and landscape. Spacious island kitchen with SS Bosch appliances set in granite counter-tops and custom oak cabinetry. Enjoy views of beautiful back yard through large bay window in breakfast/living area. 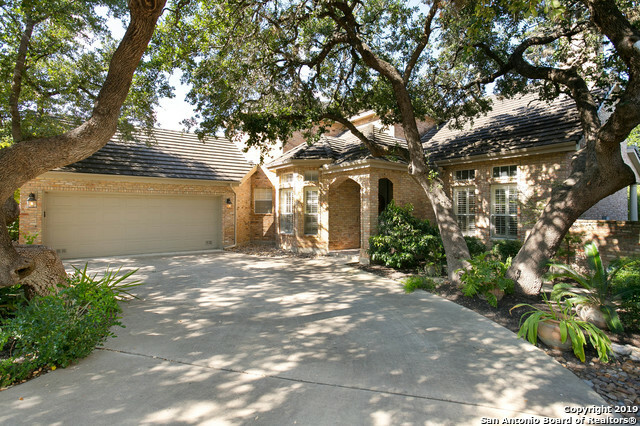 Custom oak built-ins, wood floors, large office and laundry w/full bath downstairs. Upstairs master includes large sitting area/nursery, new carpet, wet bar, whirpool tub, granite, and a HUGE closet! A true ow"
"OPEN HOUSE SUNDAY 4-14 2-4 Gate code #0422. Elegant, airy and completely private. Completely level throughout. 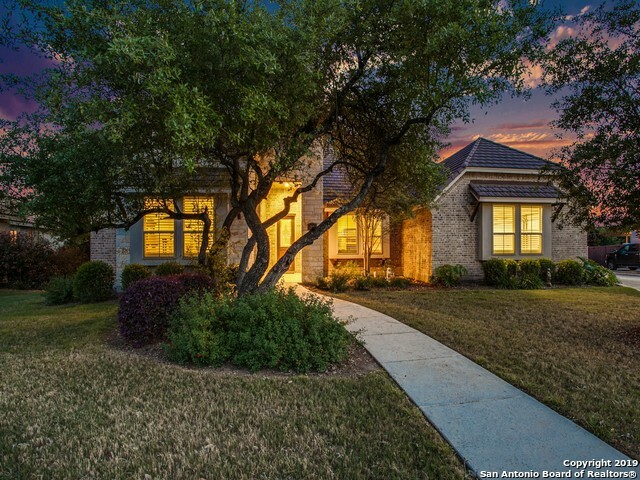 Three great bedrooms, three great bathrooms, the perfect kitchen with a large dining room looking onto luscious gardens with a flowing koi pond, and hill country greenbelt beyond. Roomy and elegant formal dining room with incredible multi-tiered tray ceiling. Plantation shutters, and elegant window treatments accentuating the high ceilings. Tremendous laundry room. This is the complete"
"Highly sought after Shavano Park traditional home situated on .9 acre. Updated four bedroom 3.5 baths. Master bedroom down with outside access. Open floor plan with living room, family room with wood burning fireplace, dining and eat in kitchen. Nice sized laundry room and half bath completes the first floor. Additional master bedroom with attached bath upstairs. Game room that leads to deck. Mature trees with special lighting added. Outdoor patio. Close to major highways." 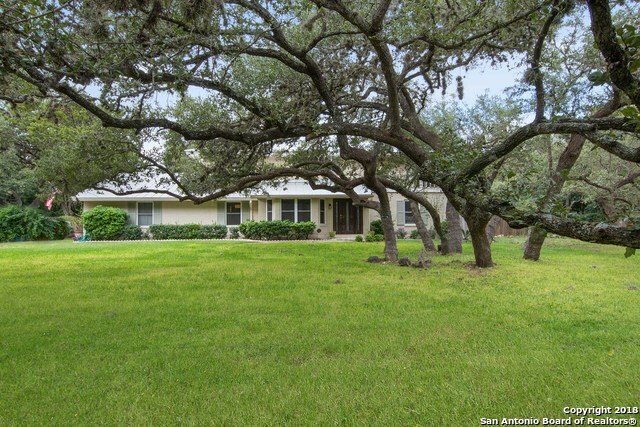 "Single story ranch, on NW Military, gated lot home features 5 bedrooms or 4/study with mother-in-law suite. French doors throughout surrounded by .91 acre, full sprinklers, gray water system, large circular driv, security gate with remote access. Hardwood floors, Granite kitchen, Travertine floating glass shower, marble vanities, jacuzzi tub. Related to owner"